Color palettes are used to enrich storytelling and evoke specific emotions in the art of cinema. A movie's color scheme often reflects its narrative arc, subconsciously reinforcing visual storytelling. 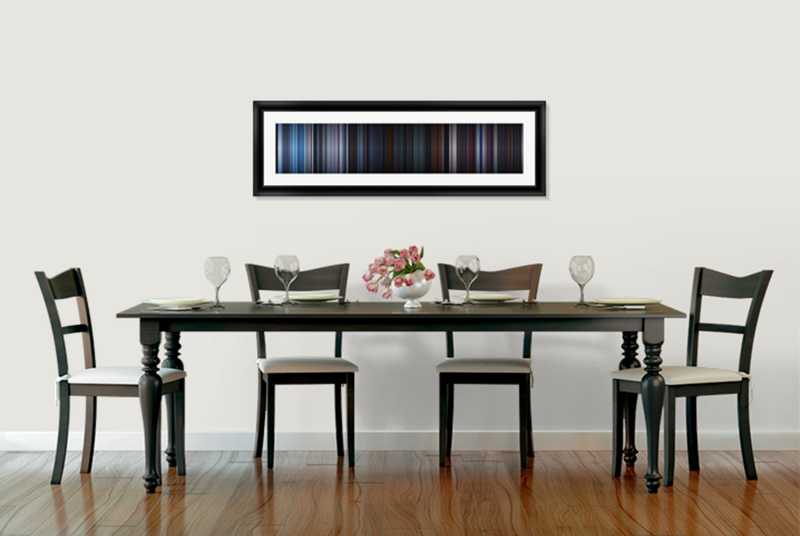 Spectrums compress the average color of every frame of a movie into a single vertical line, creating a visual timeline of the range of colors used throughout each movie. 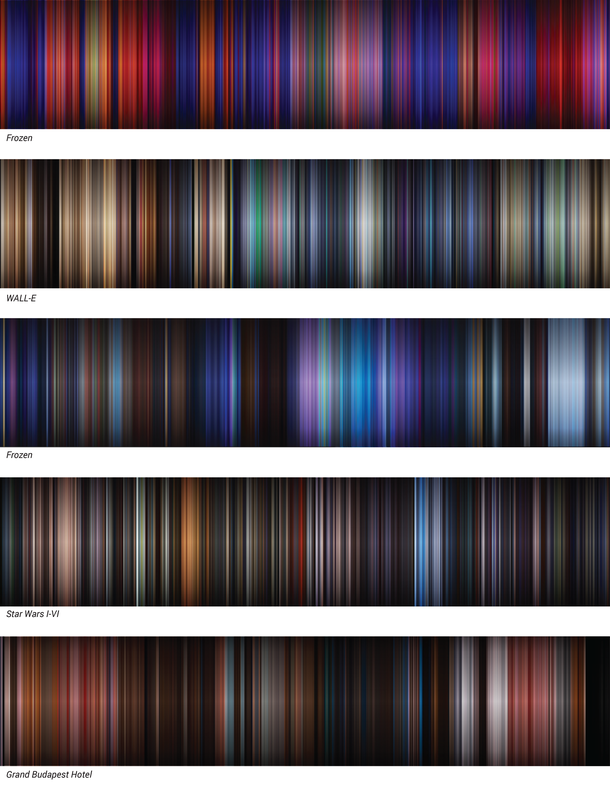 These single-image color visualizations give unique insight into the use of color in cinematic narratives.